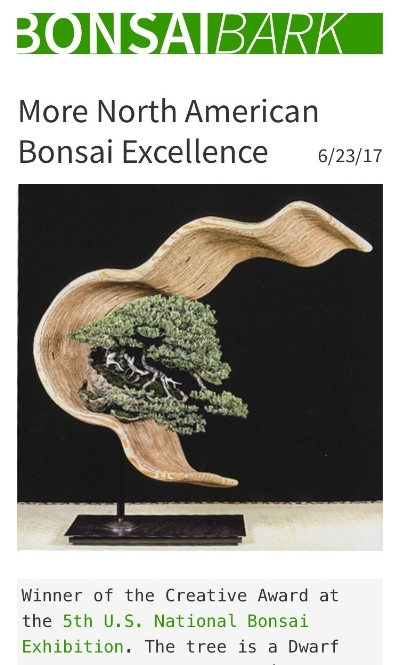 Article on the results from the 5th US Bonsai Exhibition by Bonsai Empire, where 2 trees submitted won the Creativity Award. Another great article by Bonsai Tonight. Click on image to go to BonsaiBark online article.